A new milestone!After the albums "Havoc" (2010) and "Anti" from 2013, which was described as one of the strongest black metal outputs from Austria, the path is clear for the third longplayer "The Cleansing" of the Austrian exceptional Black Metal act Asphagor.For this output, which documents a unique and logical evolution of the band, the successful collaboration with Patrick W. Engel from the Temple Of Disharmony Studio was continued to produce a successor that satisfie the high expectations - and exceed the high mark, which was set with "Anti".One can rightly say that with "The Cleansing" another milestone has been reached and this album will probably be one of the most intelligent and impressive Black Metal releases of the year 2018. Without getting lost in unneccesary production gimmicks, Asphagor create an overall work that is capable of creating an atmospheric density that enthrall you out over the entire 60-minute playing time of the album and leaving you back breathless and deeply impressed. 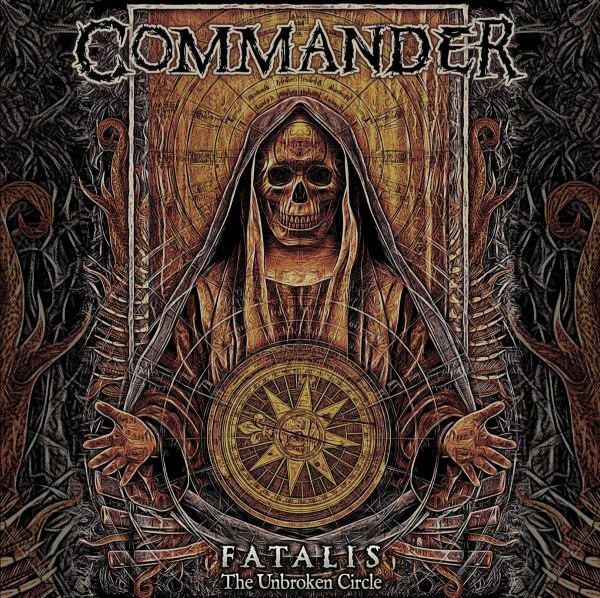 Commander have existed since 1999 and over the years have grown to become a real heavyweight of the German Death Metal underground. With countless tours and shows over the years very present, it was only on the front of an new releae of the Bavarian Quartet became a bit quiet. Since the last album "The Enemys We Create", some years have gone by, but in 2018 the band finally starts to unleashe their third longplayer "Fatalis (The Unbroken Circle)" to mankind.Like its predecessors, "Fatalis" is rooted in rough and brute death metal, with some thrashy experiments, that guarantees for a variety that is sometimes lacking in other releases in this segment. Powerful breaks and explosive guitar riffs like thunderstorms provide a drive you can't easily escape. 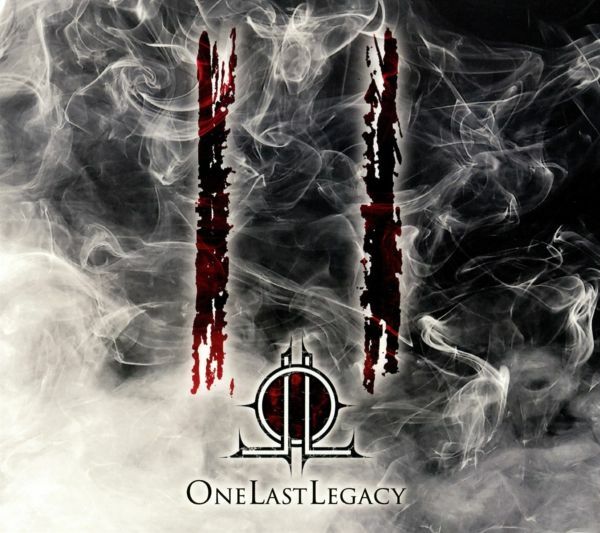 One hears on every second of this album, that the songs have matured over the years and since they have been kept under lock and key for too long, now they are finally burning to be unleashed!Recorded in their own studio and mixed and mastered by none other than Patrick W. Engel in the Temple Of Disharmony (Atanatos, Fall Of Serenity, Maroon), Fatalis offers over 42 minutes of a finest feast, which allows every fan of traditional death metal to snort his tongue. 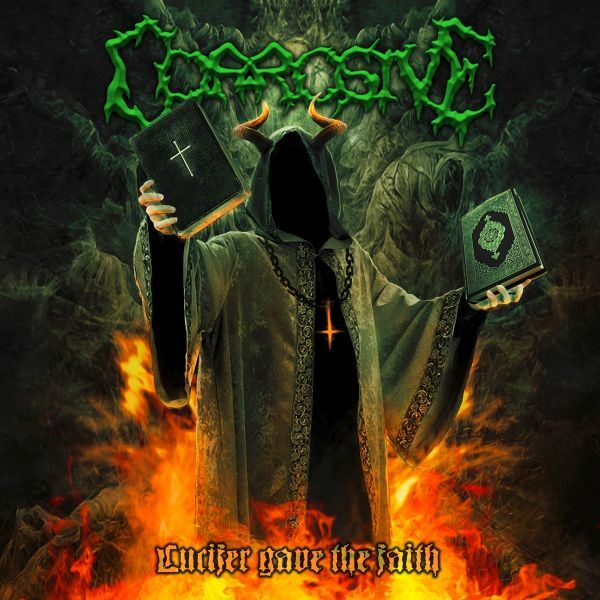 Founded more than 20 years ago, the Death Metal institution CORROSIVE from Marburg, Germany, after a split andthe following ReUnion in 2012 release their new album "Lucifer Gave The Faith" these days, and showing once againwho is the dare-devil! Their very own mix of classical death metal, Scandinavian and American style, the quintet isgarnished with a dash of melody and brutality. Already in 2016 the guys made an impressive return with their "TheKIlling Room" EP and set the course for the current longplayer, on which they manage to preserve their destructivebrachiality, which is well known from the innumerable live shows, without missing out on the joy of playing. Thepresent album was recorded in the Becker Studio Marburg/Giessen between July and September and was mastered byAndre Skopko. 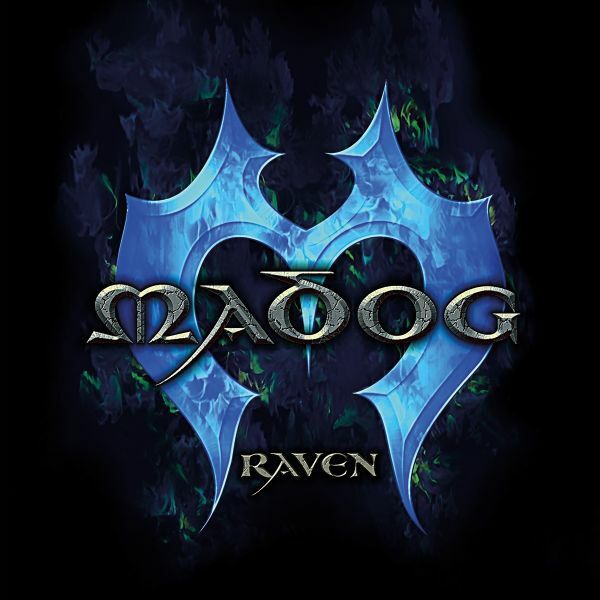 It is highly recommended to all fans of old school and steamrolling Death Metal! Death Metal Steamhammer!After their 2017 album "Lucifer Gave The Faith" the Death Metal Steamhammer from central Hessen presents animpressive successor with this fourth longplayer titled "Nourished By Blood".After more than 20 years in the business, the guys know what they want and with their very own mix of classic DeathMetals, both Scandinavian and American style with a dash of melody and brutality, they do not take captives .Especially live, the quintet has shown itself in recent years to be an all-destroying force that goes to work routinelyand with a lot of enthusiasm. With new Line-up, now strengthened by ex-Lay Down Rotten drummer Timo Claas, theband has again succeeded in capturing their live energy on record on this album.The present album was recorded between November/December 2018 again in the Becker Studio Marburg/Giessenandmastered by Andre Skopko and is strongly recommended to all fans of old school and classical Death Metal! 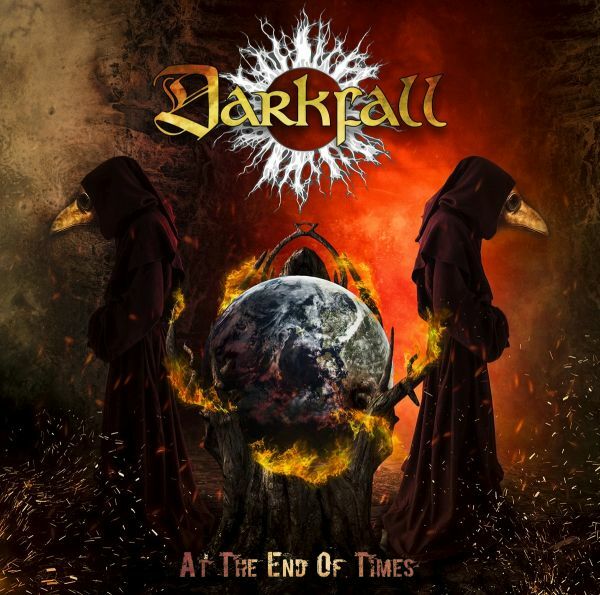 Ever since the very beginning in 1995, the Austrian band DARKFALL has been known for high-quality anduncompromising Thrashed Death Metal, which already caused a sensation with the first two releases at the end ofthe nineties. 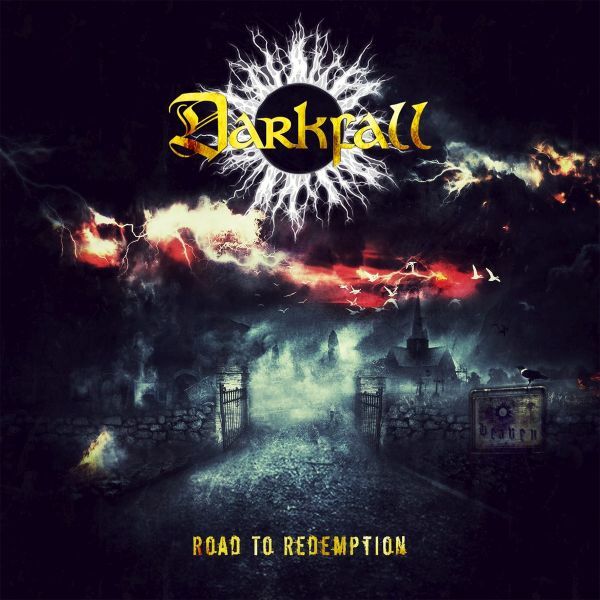 In the following years, Darkfall became to one of the flagships of the Austrian Metalscene and combinedtheir musical roots with the present into an impressive, independent style.After the re-release of her latest album "Road To Redemption" in the summer of 2017, the sixth longplayer is nowavailable with "At The End Of Times". On this, the band again combines all trademarks like brutal but neverthelessepic riffing, blasting drums and harsh growls, and expresses their own stamp on this. The result is undoubtedly theculminating point of her musical work and is capable of inspiring fans of Death, as well as Thrash Metal genre.At The End Of Times was recorded in the Helltheater, and Studio 66 in Austria by Peter Fritz and was mixed andmastered in the Stage One studio (Rotting Christ, Neaera, Tankard) by Andy Classen. Since its founding in January 1995 the Austrian band DARKFALL has been celebrating demanding and uncompromising Thrashed Death Metal, which has been featured both on the first two releases "Winter Leaves" (1998) and "Dimensions Beyond" (1999) and on the followings "Firebreed" (2001) and "PhoenixRising" (2006) caused a sensation. With the box set "Through Fiery Times And Beyond" (2008) the old works and thepresence of the band were finally merged.The latest album "Road To Redemption" (2013), which is largely out of print, is now being re-released via Black Sunset / MDD and represents the continuation of this legacy and a new era. A new album is expected in autumn 2017 ! Road To Redemption was recorded by the band itself in the Helltheater, and produced by Peter Fritz in recording studio 66. Andy Classen's mastering in the Stage One studio (including Rotting Christ, Neaera, Tankard) is responsiblE for the great sound. Bittersweet Melancholy!Dying Embers is the solo project of Jurgen Schurz (Unhallowed), who set out in 2013 to launch this project. On theone hand to follow a new musical direction and on the other hand to explore new territory, which is revealed whenyou are responsible for everything yourself.So DYING EMBERS was born out of the ambition to create music that contains influences from acts like In Flames,Sentenced, Dark Tranquillity or even Metallica to a certain extent and is formed into a sound structure that is dark,epic but still melodic. With catchy vocals and many melodies that have the potential to grab the listener with theirbittersweet melancholy. 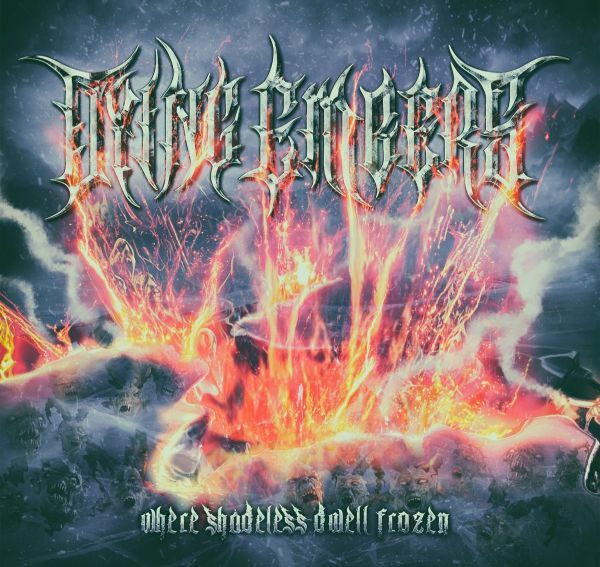 The whole thing is combined with lyrics that reveal the struggle with inner demons and viewson the darker aspects of being.Finally, after a long journey, the present full-length album "Where Shadeless Dwell Frozen" came into being, whichwas recorded, produced and thus made possible mainly by the support of producer Stefan Traunmr in theSoundtempel Studio Freilassing (a.o. Wallachia). 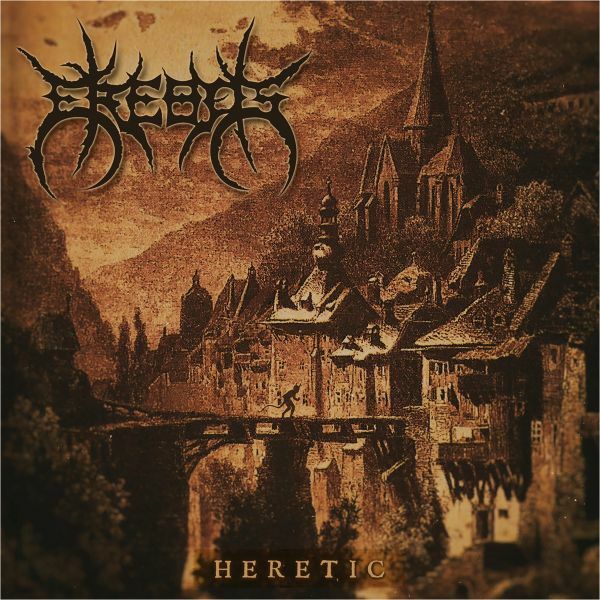 The Austrians of EREBOS have been an integral part of the death metal underground scene since 2002 in the alpinestate.After their 2003 demo and two self-produced albums (2004 and 2006), the present album "Heretic" is the fourthoutput of the sextet, which represents the next step in their musical career. Musically they have long since found afirm place between the genres and offer the inclined listener uncompromising Death Metal with melodic influences,who renounces unnecessary experiments and just hits the mark!With their stirring riffings and two singers, who with growls and nasty screams impose their own note on the brutesound of the band, the strain on the neck seems to be the declared goal of their musical attacks.Heretic was recorded and produced by Lukas Rappitsch (CroworD) and mastered by Michael Piller at the newlyfounded Elophos Hill Studios in 2018. Dr. Winter/Teratogen is responsible for the stunning and atmospheric artwork(e.g. 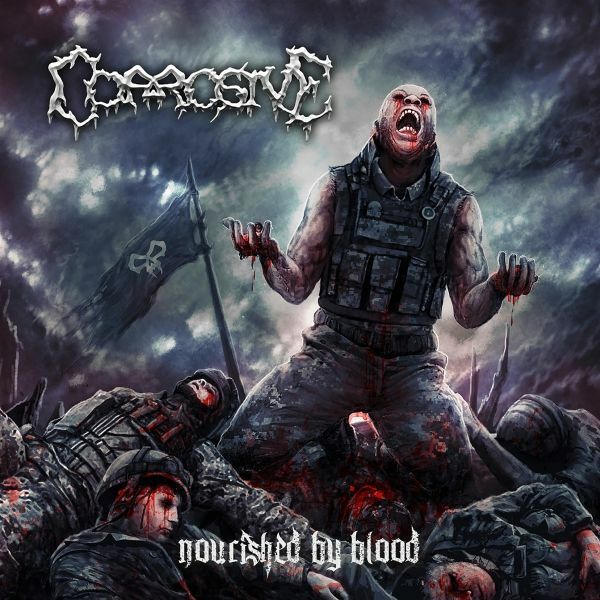 In The Woods, Haemorrhage, Brutality). Friends of classic Thrash Metal should already get sweaty fingers at the band name. 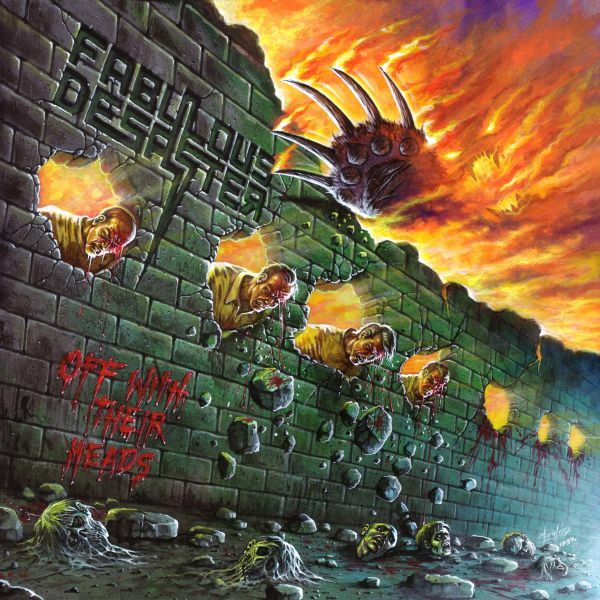 The Bonn Thrash MetalersFabulous Desaster, who released their strapping debut album "Hang 'Em High" in 2016, are now releasing theirsecond album "Off With Their Heads" - and notch up one's performance. Even though the bar for this band name isalready very high, the quartet manages to keep this level on their new album and present 10 songs that have thepotential to delight every Bay Area Thrash Metal fan.Losing more words here would be like carrying coals to Newcastle. This Thrash Metal firework was produced like thedebut by and with Armin Rave at Soundsight Studio Hennef, while the coverartwork, also like the predecessor, is bythe Guatemalan artist Mario W. Lopez M..With "Off With Their Heads" Fabulous Desaster locate the Bay Area on the Rhine and follow, besides all associationswith genre heros, their own course. Thrash on! 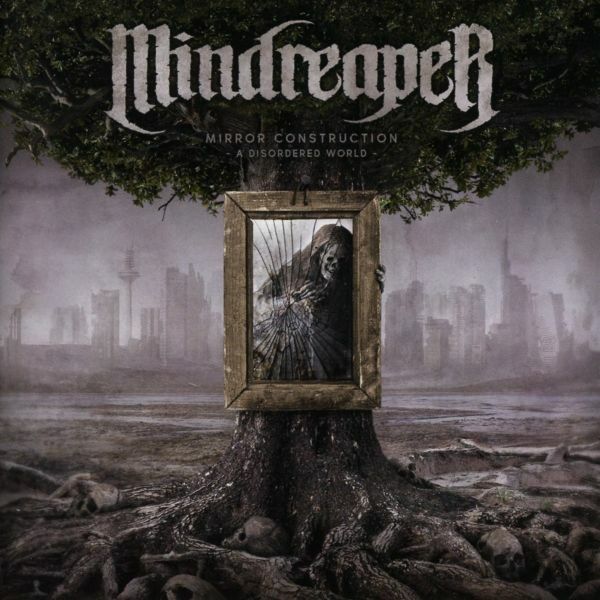 MINDREAPER have been enriching the German underground scene for over 10 years with their traditional, melodicthrashydeath metal. After their successful debut album "Human Edge (... to the Abyss)" the second Full Lenghtalbum of the Hessians is on the shelves in 2018 and should cause some neck pains among friends of the hardermetal.As with the previous album the band continues with "Mirror Construction (... a disordered World)" the collaborationwith Andy Classen in StageOne Studio (Requiem, Krisiun, Varg), under his leadership has the 10 songs recorded,produced and mastered, which guarantees a first-class sound.The 10 songs are all on a high technical level without wanting to reinvent the musical wheel. On 46 minutes there istraditional genre trademarks with neckbreaking riffs, catchy melodies and angry steamroller parts, which impressivelydocument the maturing process of the quartet in the last years. In 2018 the Frankfurt based ODIUM will celebrate its 25th anniversary. Reason enough after their last album "TheScience Of Dying" from the year 2014 to the bring a new album to the masses! The german metal hammer honorsthe Quintett once with the words "Odium belong to the best what the German underground scene has to offer". Withtheir now tenth release and eighth longplayer, the Hesse are now ready to underline this sentence impressively! "As The World Turns Black" is undoubtedly the musical highlight of their work. Nine heavy projectiles have the fourguys and the girl in their luggage, to celebrate their catchy and yet sophisticated metal, which is stylistically orientedbetween thrash and power, and blow them the listener around the ears. 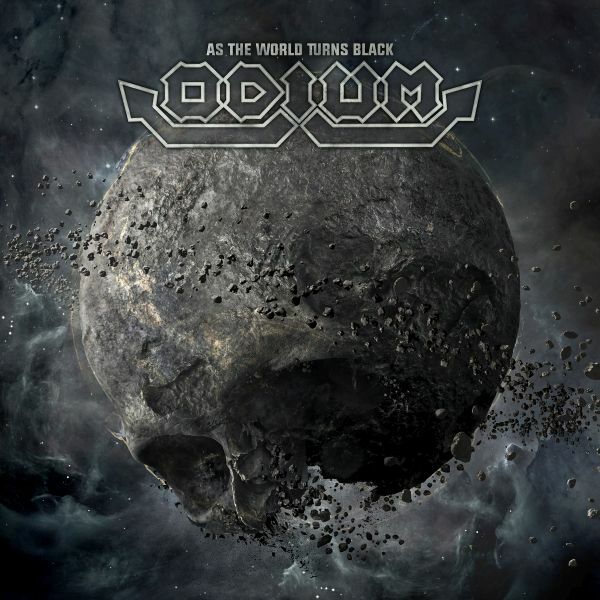 Odium prove to the world that even after 25years of band history, that they are still not a part of the old guard. On the occasion of their forthcoming jubilee nextyear, the band also announced some surprises.